Titan Manufacturing and Distributing of Collerville, Tenn., is recalling about 970 Titan safety straps. The stitching in the strap can come loose causing heavy weights to fall, posing an injury hazard to the weight lifter. The firm has received one report of a strap breaking when subjected to moderate weight, and is aware of three other reports of strap failures. No injuries have been reported. 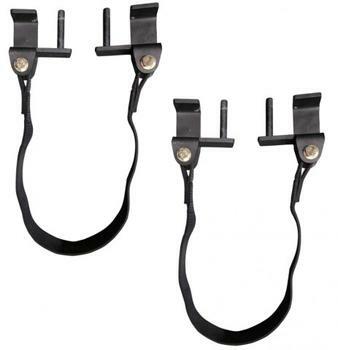 This recall involves Titan weight lifting safety straps with steel mount brackets to hold the weights. The straps are used to catch the weights if a user were to drop them during an exercise. The recall includes straps with model numbers 24T3STRAP, 26T2STRAP, 30X3STRAP, 36T3STRAP, X2STRAP24, 24X3STRAP, 36X3STRAP. The Titan logo and model numbers are contained on the product’s packaging. The safety straps were sold in packages of two. The safety straps, manufactured in China, were sold online only at Amazon.com, eBay.com, Sears.com, Walmart.com and www.Titan.fitness from August 2017, through March 2018, for between $75 and $100. Consumers should immediately stop using the recalled straps and contact Titan for a full refund or free replacement straps. Titan is contacting all known purchasers directly. Consumers may contact Titan at (800) 605-8241 from 8 a.m. to 5 p.m. (CT) Monday through Friday, by email at info@titandistributorsinc.com or online at www.titan.fitness for more information.